A while back, I shared that my Holiday Classics pattern is on Quilting Treasures' website, and that I have the fabrics & quilt kits now available in my Shop ~ but I hadn't had a chance to make up a sample in these fabrics yet. So my amazing friend Mary made this one for me to use! 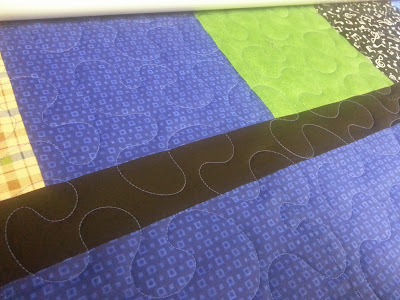 And, as usual, her quilting on it is amazing too! It makes up really quick and easy, so there's plenty of time to get one for the holidays ~ and don't forget the matching Table runner too! Check back later this week, my goal is to get everything finished over the holiday weekend. 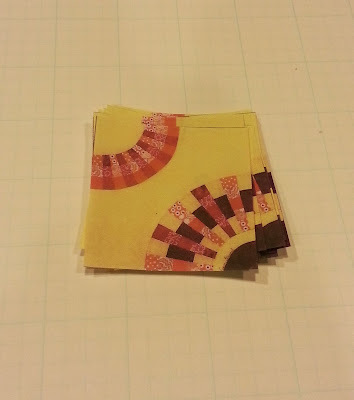 First I want to say thank you to everyone who stopped by my little corner of blogland, and left a sweet comment during the Quiltmaker's 100 Blocks Blog Hop last week! I enjoyed reading about everyone's favorites and getting all the great feedback that you left me. Random.org helped me choose some random numbers, and...Congratulations to the winners from my turn on the Hop! Stars Across the Quilt and the apron pattern were the patterns that I liked. 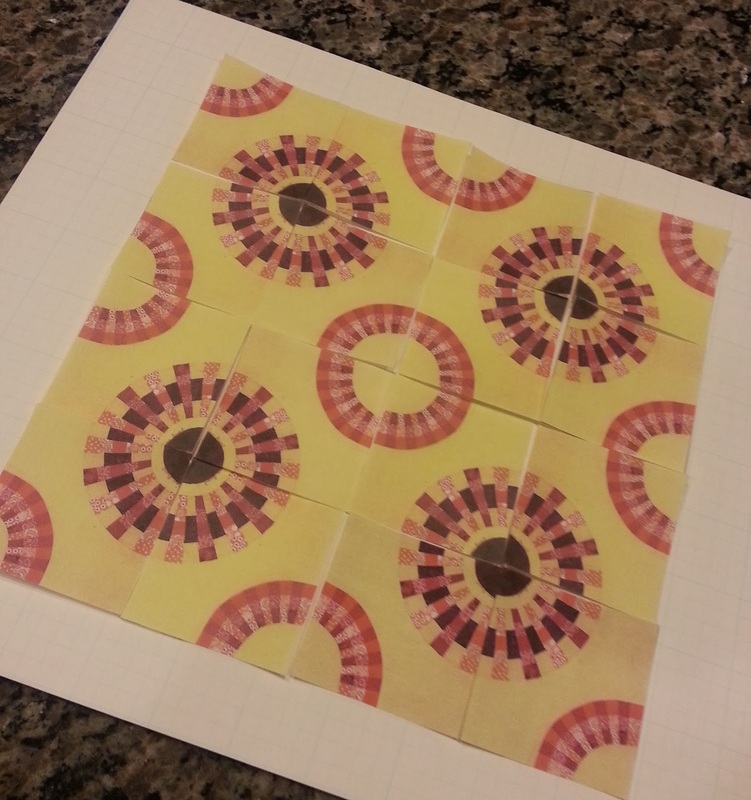 I do like your block in the 100 Blocks magazine. Love that there are many different designs options. Many thanks! I like the Minneapolis tote pattern. Need one with lots of pockets. Contact me with your shipping information ~ and we'll get your items out in the mail to you! 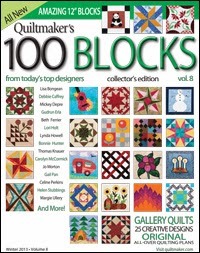 My exciting news for the week is that I have a block appearing in Quiltmaker's 100 Blocks vol. 8 that's hitting news stands this month! This is my little block called Citrus Rainbow. It's Block #753 and can be found on page 50 of volume 8 (Right in the middle of the issue conveniently located by the pattern pull-out page). It's pretty easy to make ~ wedges are cut from strip sets either by using a wedge ruler, or the wedge templates are included in the pull-out pattern section of the magazine. ...So anyway, first you just copy about 16 copies of the little block shown in the magazine. (You can either copy it multiple times, or scan it once and plop 16 of them on one page and print that page out). Then you cut them out so you have 16 little paper quilt blocks to play with like the ones shown above. ...and combinations of row and column settings. These are just a few ideas. 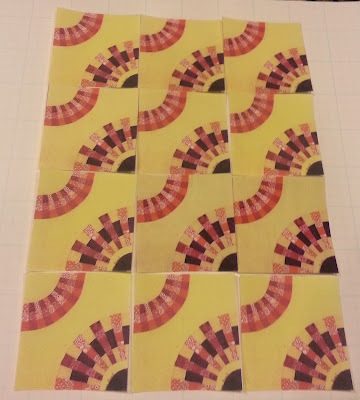 Try laying them out on colored paper and leave gaps between blocks to get an idea of how sashings and/or borders would look with the block. **Don't forget to snap a photo of any combinations that you like, especially if you're changing them around to a lot ~ it's easy to forget that really cute design that you liked, but now can't remember what you did (ask me how I know that). 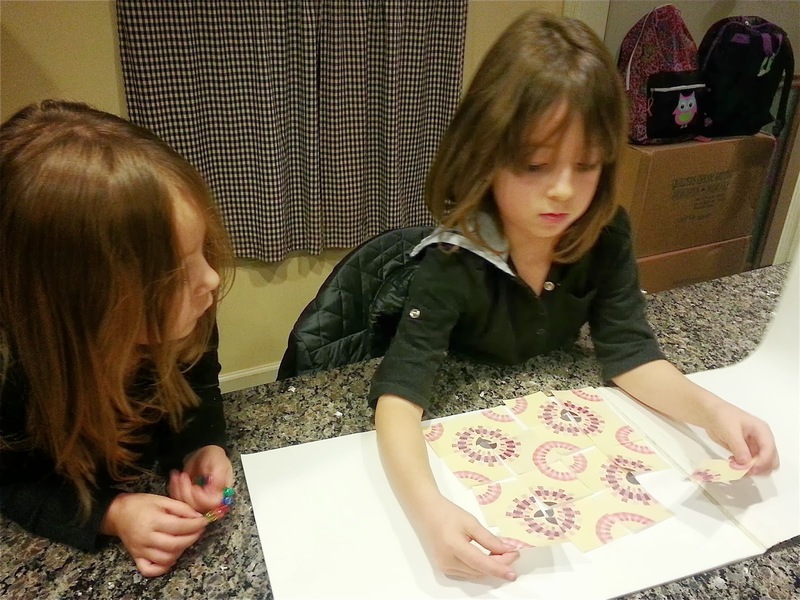 Then when you're done with them, the kiddos will spend hours "designing" with their quilt puzzle, allowing you time to actually start cutting out your fabrics...Win - Win! 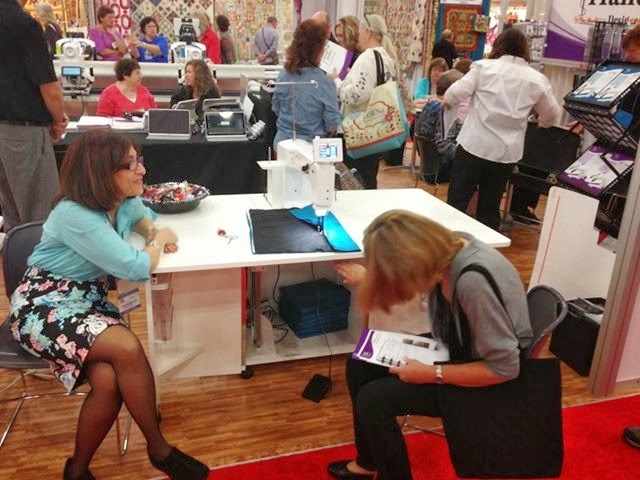 Don't forget to follow along on the 100 Blocks Blog Tour daily November 11th - 15th at The Quiltmaker Blog to see other great blocks, ideas, and even more give aways! 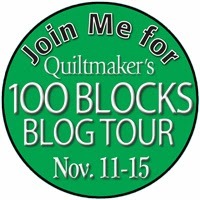 100 Blocks Blog Tour Starts Today! 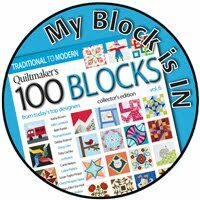 I'm excited to share that I'm taking part in the Quiltmaker's 100 Blocks Blog Tour that runs this week ~ My day is Thursday, so stop back by here then to see my block and get in on my give away! 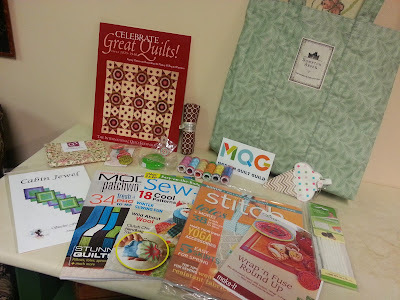 Make sure you hop on over to Quiltmaker's Quilty Pleasures Blog to see today's Blog Hop Hosts and see all their wonderful blocks and inspirations ~ and enter all the give aways! 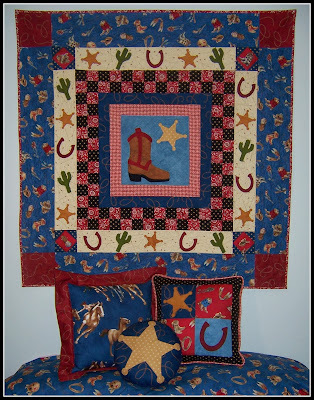 It makes my day when someone takes one of my original patterns (like my Rootin Tootin Cowboy quilt pictured above) and makes it their own ~ and then shares photos with me! 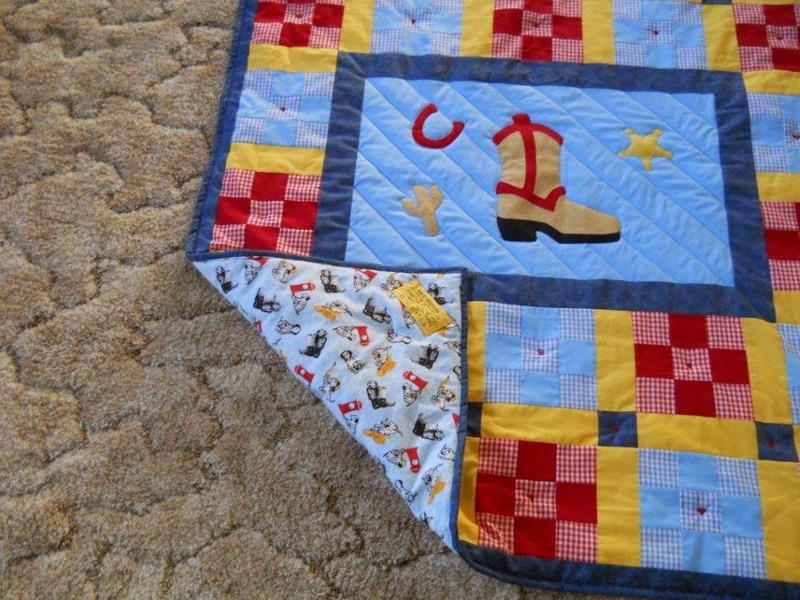 Janell Roberts from Colorado sent me these photos of how she used the appliques from my pattern and made her version of the Rootin Tootin Cowboy quilt. She made it for their Undersheriff who is expecting a baby. Mother-to-be's hubby is a rancher, so she went with the cowboy theme. 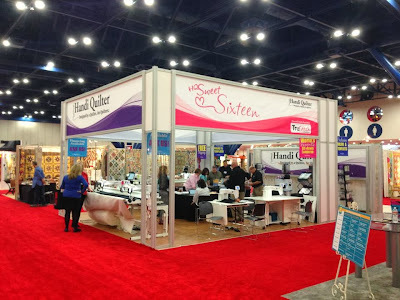 We spent an afternoon the week we were in Houston walking through the amazing quilt show at the International Quilt Market, and as my photos like the one above will attest, I was in awe of the quilting. 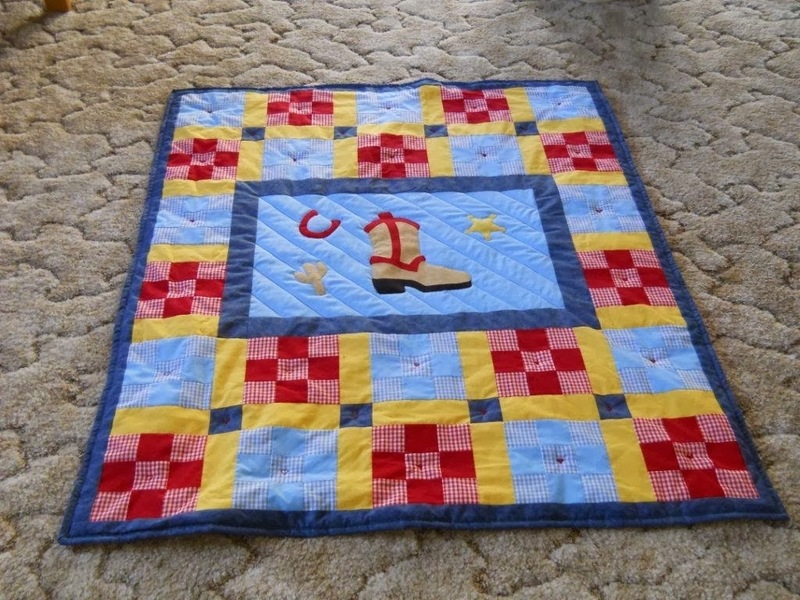 The hours and talent that were poured into those quilts resulted in some magnificent pieces of art and certainly classifies them as what we think of as heirlooms. 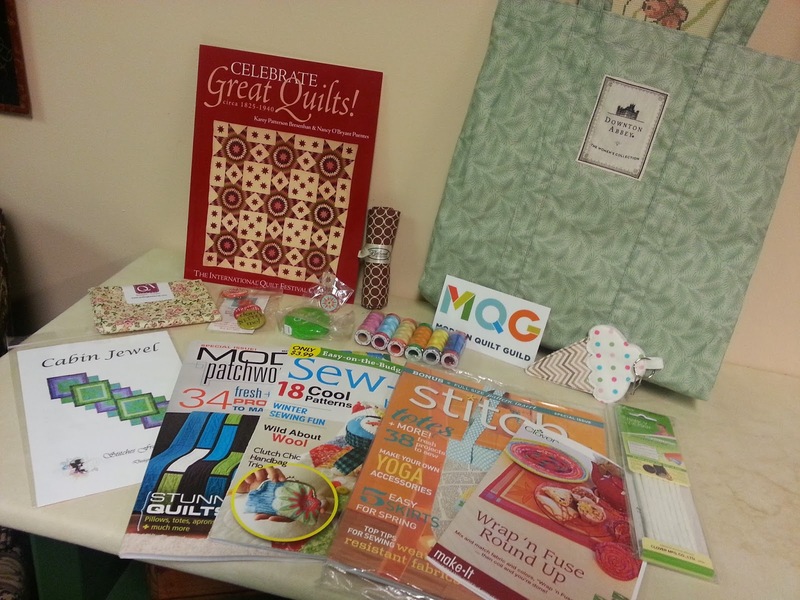 It really humbled me and reinforced the thought I had that I'm not an "heirloom quilter". 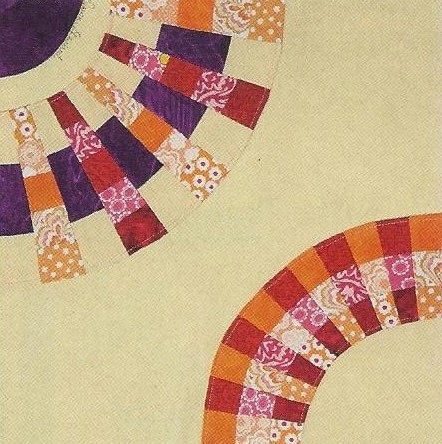 I started to realize that these humble, yet I think beautiful quilts may just be destined to become heirlooms. 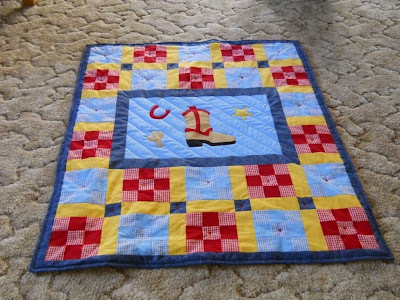 These quilts are being given as gifts to two young boys from their grandmother who carefully chose the fabrics to coincide with the interests of each boy. These aren't quilted in such a "fancy heirloom" way that they will be stored away in a closet because they are "too nice" to use. Cuddle under when they are sick...or pull up tight around their necks when they are afraid at night. 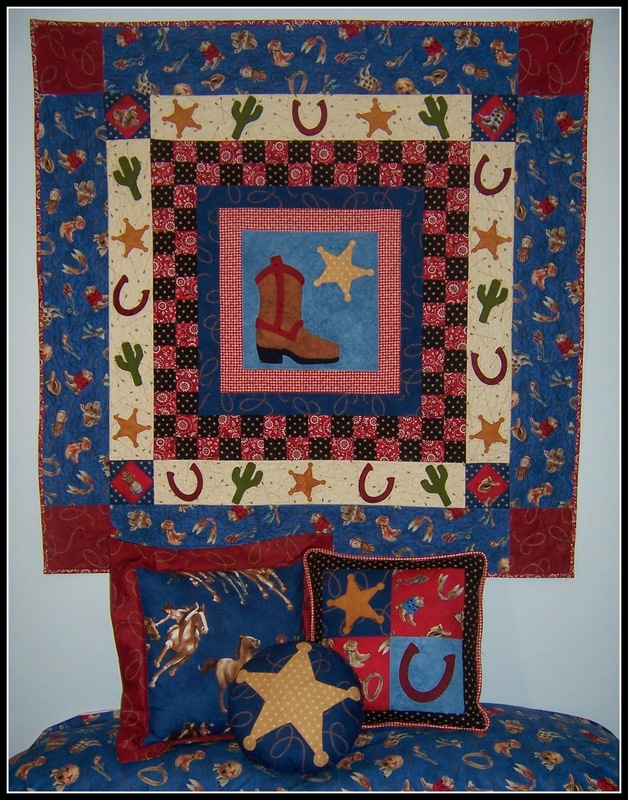 These are the quilts that they will wrestle on with their favorite dog...watch TV on...and cry under when they are jilted by their first crush one day. ...And when they grow up, they will always, always remember their Grandma's love when they see them. 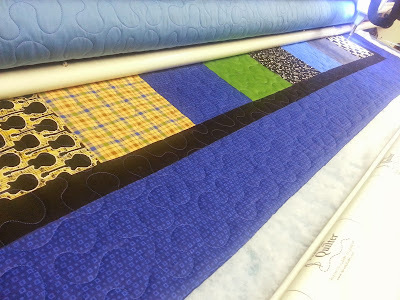 ...So after standing there pondering all these things, and feeling a little renewed and somewhat inspired, I decided I wouldn't get them done in time for Christmas if I didn't get back to work ~ so I wiped my teary eyes and got back to work meandering...today's heirloom quilts. Leanne from Harvest Moon By the Lake! When going through my photos from walking the show quilts at Quilt Market, I realized that most of my pictures are actually like this one ~ up close and personal of the quilting. I took some pictures of entire quilts when they really struck me like this one. 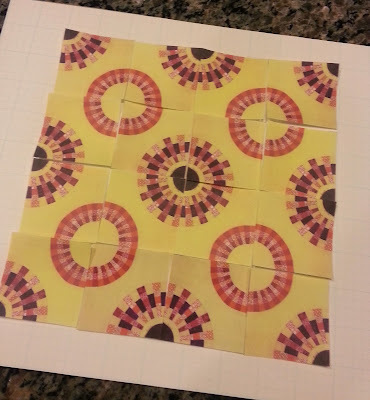 Or grabbed me and left me in awe, like this one (that left me amazed at the math involved in making the illusion happen). PS ~ Last Call to go to This Post and leave a comment to get in on the running for my little Post Market Give Away, I'm drawing a lucky winner tomorrow! 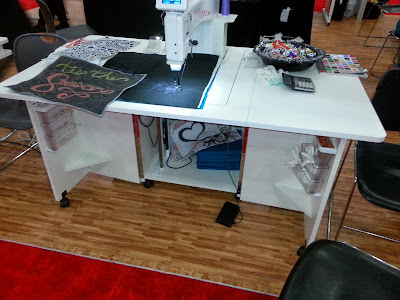 One of the great new Fall introductions that I didn't get any photos of is the new feature on the Pro Stitcher where you no longer have to walk around and drop levers on the carriage to engage the gears when you want to use the Pro Stitcher, this is now a button built into the Pro Stitcher! Very cool for all the Stand Up Frame quilters. I don't need any photos of this because I ordered a new Avante with Pro Stitcher and will have it in my Studio shortly for you to see! 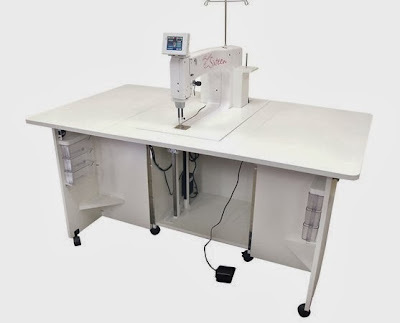 ...and the feature that's totally worth the cost of the table (which is very reasonable considering all it does and how heavy duty it is) ~ with the push of a button, it will also raise the machine up three inches above the table to access the bobbin area ~ no more bending to look underneath! This picture better shows the space inside where the machine can drop down into, and the sides close in to completely contain and store the machine away when it's not in use. A great feature for people who have limited space or are quilting in a spare bedroom. Notice it also comes on casters so even though it's heavy, it's easy to move around. 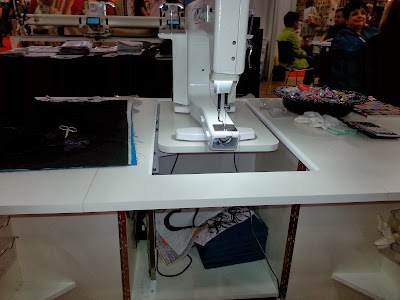 When closed up the table is a great size for another cutting or work surface in the sewing studio. 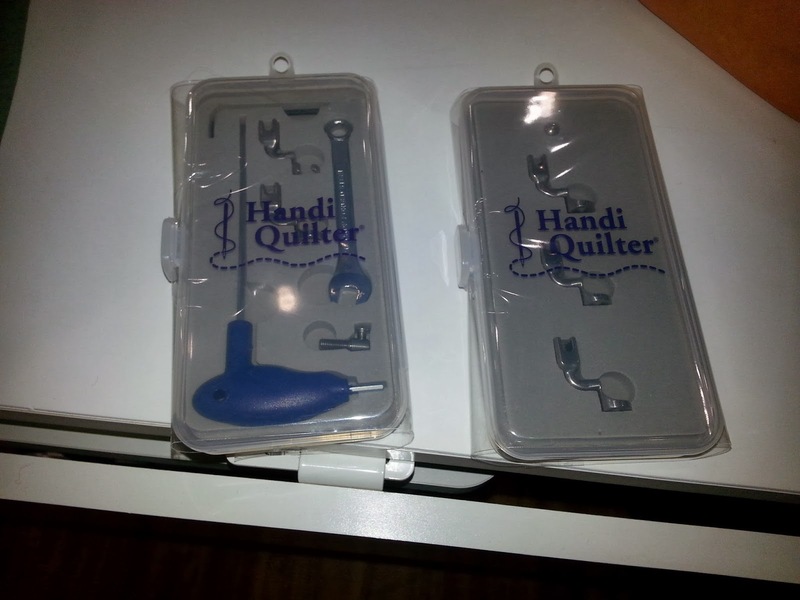 Another exciting introduction this Fall that works with all HQ machines is the conversion kit to be able to easily change the feet on your Handi Quilter machines from closed toe to open toe hopping foot. 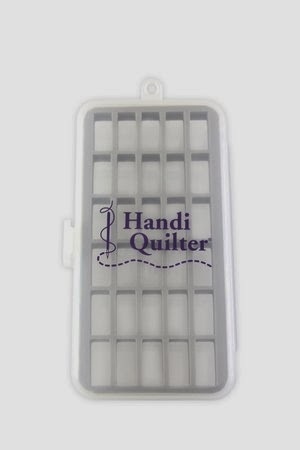 This makes it easier to change feet when you want a closed hopping foot for ruler work, but want to quickly change to and open foot for microquilting, much like changing feet on a regular domestic sewing machine. And there is also a set of three Couching Feet available for some exciting embellishing ideas. 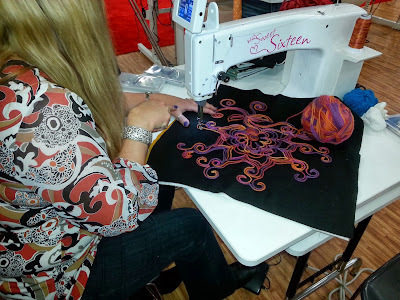 I watched Helen Godden demonstrate how easy it is to couch a pretty yarn or fiber onto your quilt while you're quilting it! I sat down and played with it myself, and it really is easy! All the new items are starting to ship this month (the new Pro Stitcher is shipping now along with many of the smaller items), and the new Sweet Sixteen table starting to ship by December 1st. I'll be carrying everything, and will have them up on our Website soon, so contact me if you have any questions, or would like to place your orders!